While completing your training as a massage therapist, you may be at the point where you’re starting to think about employment options. The two major options are to start your own massage business, or to work for someone else. Being self-employed is a rewarding venture, but it isn’t for everyone. We compare the pros and cons of starting your own massage therapy clinic or working as an employee. One of the most alluring aspects of the massage industry is its freedom for flexibility – the option to be self-employed and start your own massage business is a lucrative one. Once you build a loyal clientele you have the opportunity for a good work-life balance as well as a great hourly rate. Flexibility to set your own hours. Freedom to focus on massage practices that interest you. No office politics or boss to micromanage you. Freedom to create your own marketing strategy and promotional material. More time for networking and extra training. 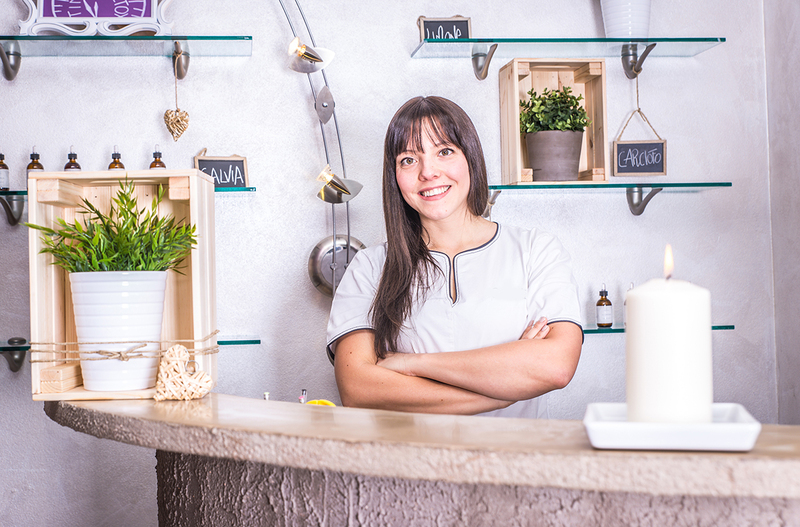 While many new massage therapists are excited by the possibility of starting their own business, there may be some aspects that appear intimidating. Purchasing office supplies, equipment, and massage supplies. Having to ‘do it all’, including marketing, scheduling, providing treatments, and more. Licencing, permits, and insurance costs. To start your own business in the massage industry, you’ll need to decide on a business name as well as register an ABN. There are also monthly and annual expenses to be mindful of, particularly if you’re renting a space. If you’re working from home, purchasing or hiring the correct massage equipment and supplies is a must as well as investing some time and money into furnishing your space. Social media marketing and advertising campaigns may mean having to devote time during your days off to come up with a marketing strategy and to build social media presence. It may be wise to hire a service to help build and manage a website as well as to create brochures and promotional material for distribution. Despite the extra time and investment involved in starting your own business, working for yourself can be extremely rewarding and allow you to experience a great work-life balance. Success as a business owner is dependent on your own time and dedication, so make sure you have a goal and a genuine passion for your practice and clients. Working for yourself has its advantages, but so too does for working for someone else. Working for a boss or employer is a great choice, especially if you’re at the beginning of your career. You’ll have the independence and autonomy of working one-on-one with a client, but also have the guidance of co-workers to help mentor you. Working for someone else allows you to build your skills, and gives you hands-on experience and a feel for what it would be like if you ever do decide to go down the self-employed route. An ongoing relationship with co-workers and supervisor. The possibility of receiving benefits such as annual leave and health benefits. Discounts and perks (dependent on the individual business). Like self-employment, working for someone else can also have its drawbacks. The disadvantages are subjective and may not come as a big deal to some people while it would for others. So be mindful of your own goals as a massage therapist and what you want out of your career. Long hours and less flexibility. Having to attend an interview and go through the recruitment process. The possibility of office politics and demands from supervisor and colleagues. Unfair or unrealistic client expectations. Massage is generally physically-demanding work, and oftentimes there’s little flexibility when you’re working for someone else as a therapist. Long hours can lead to burnout, while demanding clients can test your patience. Ways of determining your suitability for a job as an employee is to determine which environment best suits you. You may be drawn to the relaxed environment of a high-end day spa or feel more comfortable at a clinic dealing with all ages and types of people. A good attitude goes a long way, and if you’re exploring the option of working for someone else then be sure to present as a happy, open, and supportive team player when in an interview. Working for someone is a great way of cultivating your training and to be able to combine it with the skills and practical knowledge already gained from massage training. With the right training and advice from industry professionals, you’ll have all the skills and knowledge at hand to decide which career path is best for you. A course through Discover Massage Australia will provide you with the know-how to start your own business or to find an employer within the massage industry. Apart giving you the necessary practical skills for a successful career as a massage therapist, Discover Massage Australia also provides ongoing support to help trainees learn how to build a client base, get insurance and start their own business, as well as weekend courses to further enhance their skill-set. Choose your course from Discover Massage Australia today and begin your career in massage therapy with confidence.